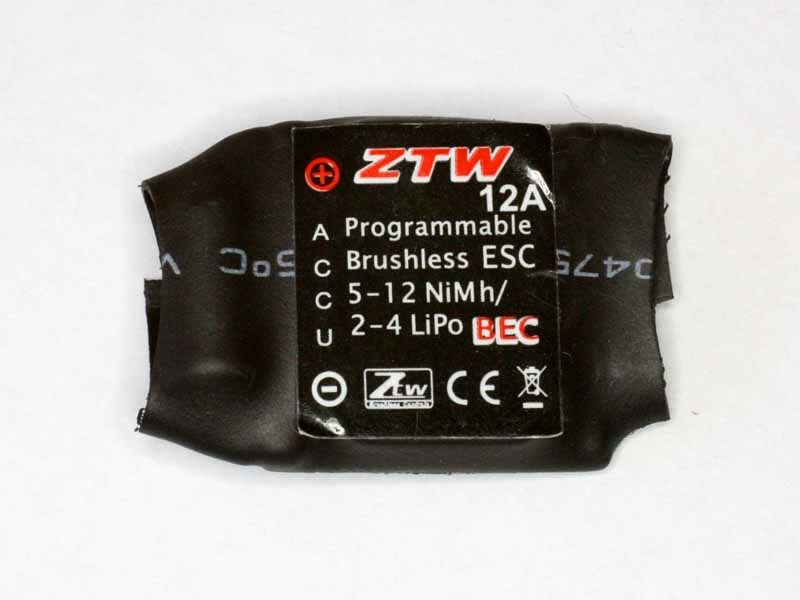 Fig 1 shows the label of a ZTW A series 12A ESC (from X230 quadcopter kit from Hobbyking). Fig 2 shows the ESC with shrink removed. 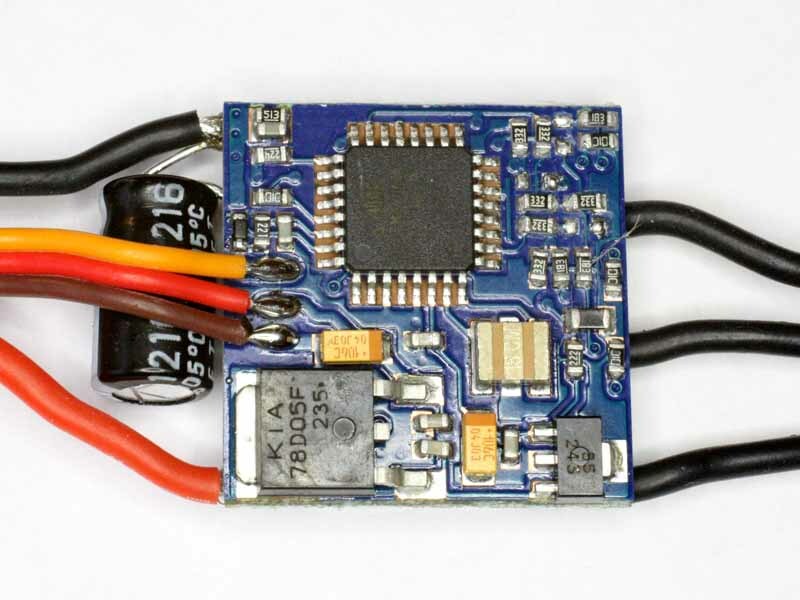 This uses a TFQP32 package Atmega8A, so connection using the Hobbyking chip adapter is convenient. This ESC appears physically identical to a 'Blue series' ESC, and was successfully programmed using the Blue Series programming card, though that is not to say that it is identical logically. The 1nF 0402 BEMF filter caps have been removed, necessary for wii-esc, (three empty spots in the upper right corner of the board). The caps in this board are delta connected to the sense voltage divider. The BEMF capacitors are difficult to remove, the very small size (0402) and high temperature lead free solder compounds the difficulty. Hot tweezers are good if you have them, hot air another possibility, and two soldering irons is probably the simplest method for removal. When cleaning the PCB after removal of the caps, swab the chip pins to reduce the risk of poor contact to the programming adapter. 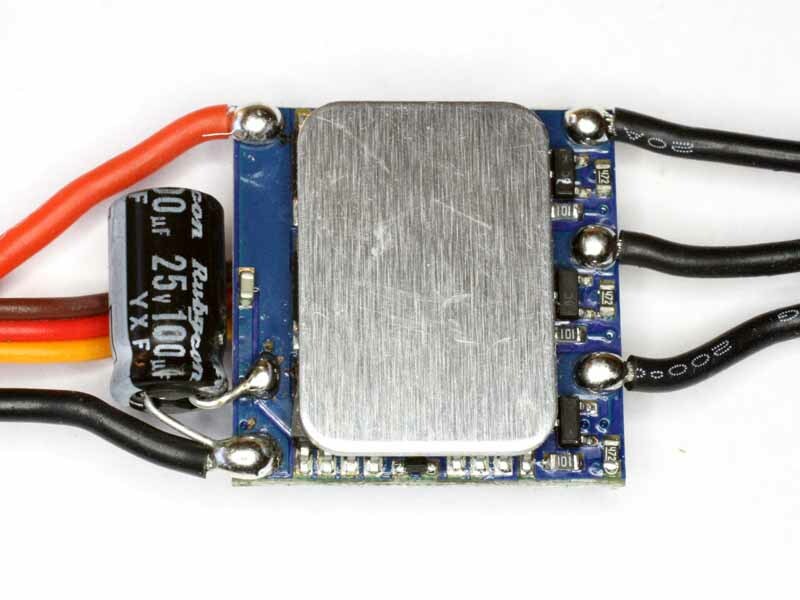 Fig 3 shows the underside of the ESC. Fig 4 shows the finished ESC, BEMF caps removed, bootloader installed and shrink cover installed ready for re-installation. Black heat shrink may be a little more effective in heat dissipation, but in this application operating current is low and the clear cover avoids the need for labelling. wii-esc v2.1 bs_nfet.hex was installed. 2013-07-19: The ESCs have been loaded with a custom bs_nfet_ntc.hex flash module (which contains the TIMING_OFFSET parameter) and multiwii.tgy EEPROM image for throttle calibration. Timing parameters are as follows. 2013-09-27: The ESCs have been loaded with a custom bs_nfet.hex flash module (which contains the TIMING_OFFSET parameter). Timing parameters are as follows. 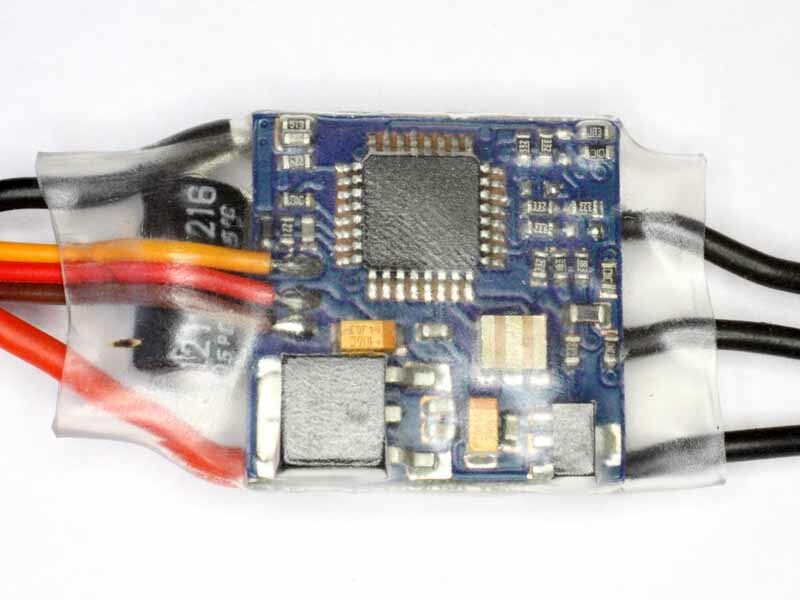 Fig 5 from Hobbyking shows Hobbyking's Atmel Atmega Socket Firmware Flashing Tool (332000007). 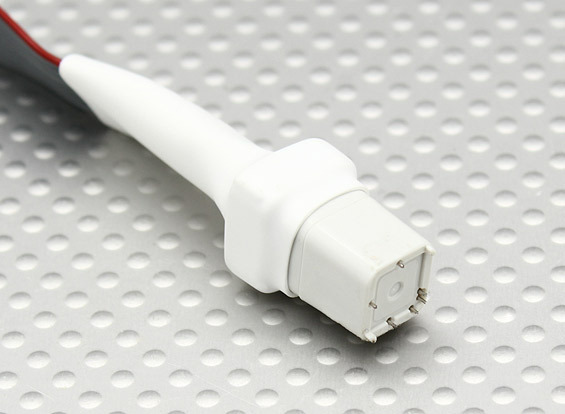 Once a bootloader is installed, and fuses and lock bits set correctly, the ISP connection can be removed and future flash and EEPROM updates done via the servo connector using a Turnigy USB Linker. 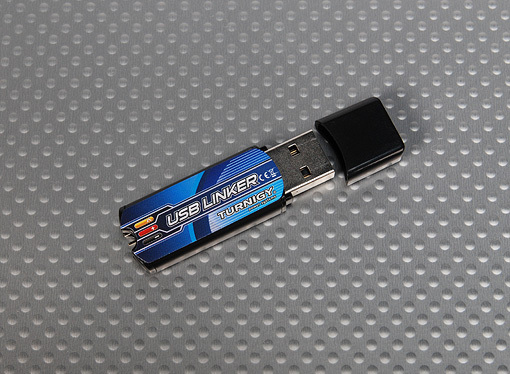 Fig 6 from Hobbyking shows Hobbyking's USB Linker (T-USBLink). On a 11.0V power supply and loaded with a 5030 three blade propeller, maximum motor speed was 16,230rpm (5.0A, 55.0W) with the stock firmware and 16,020rpm with the wii-esc v2.1 firmware (4.1A, 45.1W). Power input to the propeller increases approximately with the cube of rotational speed, so the power output of the motor / ESC would have decreased by about 3.9% whereas power input decreased from 55.0W to 45.1W (18%), system efficiency improved markedly. Advice (or a warning) to those who might try to replace the firmware on an ESC. Most FW comes with no warranty, and typically the OEM firmware is read protected so you cannot save and restore it. In most cases, changing the firmware may terminate any seller's warranty. In making hardware or firmware modifications, you may damage the ESC, or the model may fail and cause consequential damage. The author gives no warranty and makes no representations about the suitability of this technique or any particular products for the end user, or the accuracy of the article content, they must inform themselves and make their own judgment aware that there are risks. If you are not competent to do these things, don't do them! The products shown in this article are from Hobbyking who manufacture products under a range of brand names, possibly creating an illusion of competition. Their products tend to be low in cost and low in quality, products are not good value when you have to throw a proportion of them in the rubbish because the cost of returning them exceeds the value of the replacement which is only available after excessive delay, many follow ups and haggling. If you see the claim [o]ther stores will force you to ship the product back to China in full retail packaging every time! Hobbyking's warranty service is professional, fair and fast , don't believe it, it doesn't work that way in my experience... I get better service from most eBay sellers!